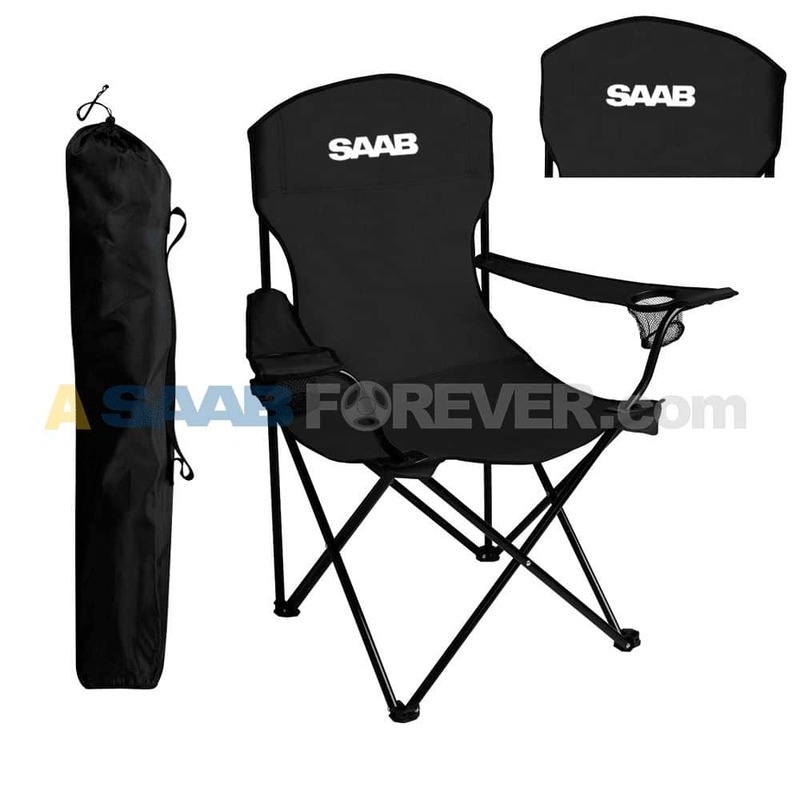 Folding chair features two mesh can holders and carry bag with strap. Up to 300lb. Weight limit. SAAB logo printed in white on front and back of chair.